What. a. week. 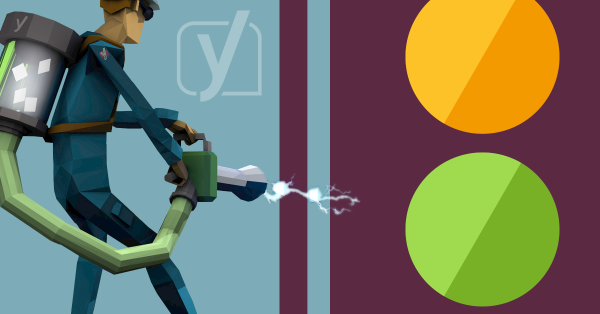 We released Yoast SEO 3.0 last week. This was arguably one of the biggest releases we’ve ever done. There was quite a bit of buzz around this release, both positive and negative. I wanted to post an update after a week to show where we stand and what we’ve learned. We’ve made mistakes, obviously. Of course, there were bugs, which we have worked on hard and are still working on right now. We’ve made mistakes in communication too. We’re sorry about that. All that being said, we’re still very proud of this release. Very proud of the real time feedback our plugin now gives. Very proud of the multiple keywords functionality in our premium plugin. We have very specific ideas about why these changes needed to happen and what we’re going to do moving forward. My post about keyword density highlights just one of the results you’ll see. In the upcoming releases we’ll add more and more functionality that really needed this major release as a baseline. We knew right when we hit the publish button that there’d be bugs. Of course you always hope everything will be awesome. But we’ve done this too often not to know better. There were a few bugs that I think we should’ve caught in our testing period (which was extensive) and we’re taking precautions to make sure we do next time. But bugs will happen. Always. There are too many different configurations within our user base to test everything. We love the amount of users we have… except when we release a new plugin update :) . Taco covered it in his post about the road to Yoast SEO 3.0: we’d been preparing for this update for months. The number of people actually testing these updates was still really small though. That could be one of the reasons some of the major bugs were not found in our testing cycles. But how can we get more people to test our betas and release candidates more extensively? We’d love your ideas. In the past week, we’ve been fixing bugs steadily, with several releases in the last week as a result. Today, version 3.0.6 shipped, bringing yet more fixes for specific issues. I’m very happy to see that those releases were in part the result of bug fixes submitted by the community. Thank you all for that! We think we were very active right from the start in responding to issues and trying to fix problems. I was personally active on Twitter in responding to people, our support team (5 people working full time) was active on the wordpress.org forums and in email, but we missed Facebook in the beginning, leading to some harsh comments there. Comments that, to be honest, were sometimes really painful to read. In our email support queues, we prioritized paying customers and told free customers that we couldn’t support them over email. This was probably, in hindsight, not what we should’ve done. For future major releases we will try to actively support everybody for a period of time. Of course, when we change an interface, some people will complain. That’s a truth we’ve known right from the start. And people complained indeed. We made a video of how to use the new snippet editor, which is in our release post and was also on the about page for this release. We thought the interface was intuitive, we also thought people would watch that (30 second) video, but we were obviously wrong. We’re now thinking about how to improve the snippet editor so it’s more obvious how you are able to edit. We also saw some people complain about the traffic light in the publish box. We can discuss where it should be, I actually wanted it to be less intrusive than the whole line we used before… If you’ve got a good idea and know how to code it, pull requests are always welcome on GitHub. If you just have a good idea of what it could look like but don’t know how to code it, open an issue on GitHub and add an image with your idea. We’re listening! Luckily there was also praise. People seem to love the new multiple keywords functionality in our premium version, which we’re very happy with ourselves too. The real time feedback also has made some people very, very happy. Several people made remarks like “Christmas come early” about these features and that was great to see. Some people deserve specific thank yous. The moderators on the WordPress.org support forums have been incredibly helpful, both in combatting spam on posts about our plugin but also in providing helpful feedback to both users and us. I also wanted to personally thank Daniel Seripap, Aaron Hipple, Zvonko Biškup, WPExplorer and Craig Pearson. Each of them contributed a bugfix or helped us test so that we could get fixes out. It’s people like them that make us happy to be in an open source community. Finally, thank you. For reading. For supporting. For understanding that we’re human and make mistakes. But most of all, thank you for using Yoast SEO and telling all your friends! Having the same “The text contains 0 words” or “No images appear on this page…” issues. If it helps I have two sites I’ve looked at, both WP4.4, both on Yoast SEO 3.0.6, both are built up from the same framework I use. One has the word count / image issues, the other doesn’t. Only thing different is the hosting, not sure if this has anything to do with it but the site working is using PHP 5.4.45 the site with the issues is using PHP 5.6.16 just wondering if something might have been depreciated between the two PHP versions. The video in your intro-post doesn’t look like a video! That explains why people didn’t see it before complaining. Just use a youtube video like everybody else does. We know how those look. What’s more, when I click it, I’m redirected to the premium SEO plugin. Confusing. It’s also too fast. It explains things perfectly to people who already understand, but not otherwise. Us users have gotten used to software that explains itself. This plugin doesn’t. However, it IS intuitive once you know how it’s set up. (which is more of an accomplishment than it sounds). Hi, I have always liked the Yoast Plugin but with 3.0.6, every time I add a keyword and then update the page, the keyword dissappears! Very frustrating. Any ideas? Thank you for your great SEO tool. Appreciate all your work gone into making it better. However, am having issues with the content analysis saying ‘The text contains 0 words…’ when I have plenty. Am I missing something here, is it my theme that has a problem? I have the latest versions of WP and plugins and themes. Yoast SEO 3.0.6. A minor suggestion, too, that may help clear the number one source of confusion: the meta description box has been essentially renamed as snippet box, yet the various prompts in your content analysis still direct people to improve the meta description. A simple substitution with the word “snippet” in these prompts would send people looking in the correct place, rather than getting frustrated that the thing they are told to correct is no longer there. Alternatively, you could relabel the snippet box to match the label used to refer to it in the prompts. We have recently updated directly to 3.0.6, skipping the other 3.0 iterations, and after seeing the compatibility problems of the early adopters above, I’m glad we waited! The Yoast SEO update did *not* break our theme or ability to edit. However, I am completely thrown by the apparently randomly rotating colors of the purportedly “real time” content analysis. Curiously, I can have a page open for editing and while I am just sitting back thinking about changes I wish to make, the color of the analysis indicator switches periodically – not in response to any edits. If I make some of the prompted corrections (e.g., increase the length of a metadescription to the target of 150 characters, etc. ), it actually DECREASES the content analysis rating!?!?! What are we to make of that? I end an editing session and have the indicator showing green, but it has automagically changed to red the very next time I open the page for editing (before setting any finger to keyboard). We also have a longstanding problem with getting the SEO plugin to recognize text in the first paragraph. Seems if there is any style tag at all, the Plugin can’t read it, and always scores us low for not having the keyword in the first paragraph, regardless of how many times it is used. We are sad because we found the previous versions of the plug-in to be very useful, but this update has rendered it pretty meaningless to us. Sorry to see it go. Hi, I’ve been using this plugin for a while now and I can’t be more happy. I like the new version, including the new UI design. I don’t get why people find it so hard to understand. I think is clear and easy. The fact that you felt you needed to do that should have been a red flag. If an interaction needs to be explained in a video it’s not designed right. Any interaction should be easy enough to do the basic functions intuitively. I am on 3.0.6. and I am getting the “The text contains 1 words. This is far too low and should be increased.” (the text actually contains 419 words). The url is also displaying incorrectly in the snippet editor (no parent page). I too am having same issues. Text contains 1 word, but has over 300. No parent page in URL snippet. I recalculated SEO scores after update and turned orange…. I now have to edit each page, toggle to ‘visual’ editor, save it, toggle to text editor (what I work with) and save it then is green again. I am having the same problems mentioned by Richard and Adam: the text contains 1 word, the focus keyword is not in the URL… Red light! But if I do as Adam suggests – toggle to visual editor, save, return to text editor – the light in the editing window turns green. However, if I load the page in my browser with the WordPress toolbar along the top, the light is still orange or red. So that is not a solution, only a partially successful work around. I have a similar problem. If my body content is wrapped in a DIV, then the word count drops to zero. If I remove the DIV wrapper my word count comes back to normal. Why is this? 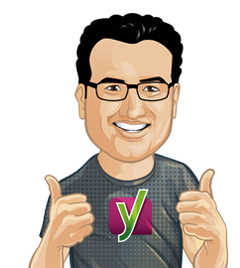 I am very happy for using Yoast, thank you. Hello, I got a problem. How can i add keyword on my website homepage by Yoast plugin. But this plugin is really really best plugin. I really like this Yoast SEO Plugin. You are doing a great job with your plugin but I think you should go premium like gravity forms or only premium. I can’t imagine the manhours of free support you are putting into customers who are not willing to pay a single cent. What’s going on with the meta descriptions for previous published posts (using the old version 2 of your plugin)? I noticed the updated plugin seems to have deleted all my meta descriptions and Google is now just running with the first paragraph from the post as the meta description instead! Surely this new update to the plugin hasn’t deleted all the previous meta descriptions!? I speak hour upon hour writing those out for previous posts! Talking 100s of posts here! Is there anyway to get them back!? Have been testing Yoast with some users for a little bit now, but I do not think the new interface is clearer and / or more concise. We get the same response from most of the users actually. Although it probably isn’t, it looks more limited in functionality from the pre v3 versions. I appreciate all the work you all put into this plugin. Thank you. Thanks for posting this, and my error, which seems to have been rather narrow to my install and config, is cleared up with the latest update. I’ll put the url below for you, and now I can start playing around with the new features. I love your new release. It took me about 10 minutes to figure it out though. You probably send me a video about ten times but I did not see it – yes I’m one of those people. The snippet editor took me the most time. One thing that I find effective is when updates are presented as a choice – we pick the old or new version. I obviously pick the most current update but it sets in my mind that the new release is something totally different and there will be learning involved. For a few minutes I actually thought you guys had screwed me over and were only allowing snippet editing behind a pay wall. I guess that’s what I wanted to share most. with this news release I cannot set the focus Keyword. I write the keyword in the box but I cannot save it. Its all about keywords and the main thing does not work. After being writing to the assistance I have been told basically that is a problem of mine unless I search over the assistance tools you set. For a new release bug why I should face the ocean ? I’m a premium user and had major issues but I went through email support and in a few days the issue’s disappeared. I was upset because of those issues but got over it. I just hope the next patch doesn’t bring up the same issues I had. I like all the new changes, took a day or two to get used to em though. Awesome update with the real time seo check. But there is one thing that bothers us and that is the fact that the google preview became a snippet editor. It’s far from user friendly, is it possible to build in the meta box fields like in the “old yoast” version. I’m not saying to remove the snippet editor, but provide a possibility to toggle between the two layout versions. It’s not that hard to make right, because if we hire developers to solve this issue for us, we need to update it every time when you release a new version. So we kindly ask to build in an option for your (premium) users. We bought the premium packs, so in case you don’t want to do it for the free version, please consider it for the premium version only. This way it a plus to buy the premium version. As the multi keywords are easy to check, but as your support said by mail the keywords don’t do anything it just to for our eyes only to review our meta content. Instead free users can remove the keyword and fill in another keyword with the real time function to check different keywords at once. So bottom line it not a feature that will considers us to buy a new licence at the end of next year. As you can do the same thing in the free version. My experience was hilarious. After adding my text in text box I went to the Yoast SEO section and then found the change in there. I was able to input Title and Focus Keyword, but was unable to input Meta description. For first 2 days I left clueless how to input Meta description. Then on third day I found the solution randomly. Most probably I intended to click on the Title box, but came up with clicking in right below the Title box and then another box showed up. Then I realized it was Meta Description box. Ha ha ha!!! I just updated to the new version today and I no longer have a line item to enter metadata for the post?? Am I missing something? I use the MOZ Bar and SEO Site Tools to go over my posts after I publish them. We created several new posts and used the Snippet Editor for the Meta Description. Both MOZ Bar and SEO Site Tools fail to detect a Meta Description using the Snippet Editor on new posts. I restored my site to a previous backup using Yoast Premium Version Version 2.3.5 and the problem is solved. I understand from your responses that you like the new UI and don’t plan to go back, but from an end user standpoint it makes it more complex for an average WordPress User. One of the main functions that I use the Plugin for was optimizing the Meta Description. I hope that you will consider addressing the usability. I am not sure why the new version would cause MOZ Bar and SEO Site Tools to be unable to detect the Meta Description, but I will be unable to update the plugin until this is addressed. Please consider citation issue for countries other than US and EU in next versions. Citation issue? Could you be more precise? I use your plugin on many websites, I think it’s great overall but the last updates were confusing for many users because many new things were added and familiar stuff removed. Maybe if you can add an option to keep the UI basic and classic OR new and advanced. Another idea is to add a 3rd option – to activate the Premium options only – without functionality – to see if it’s something the user needs. I think in this way you will bring back the ease of use for many long-time users. And my idea to get more people to test your betas and release candidates: add a button in the plugin where you invite people who want to improve your plugin – I would click this if it will be there. I think SEO should be complex and simple or complex and advanced – letting the user decide could be the best approach. the old way of doing the input fields would not allow us to show the real time analysis where we show it now, straight where you’re working. So I think we’ll have to find ways to make the snippet editor better if people aren’t finding it easy to work with, but we’re not going back to the old system. There was a bug that brakes my Meta Box plugin, but the team was very responsive in fixing that. This is a huge update and now everything looks great. Thanks for your effort. Good to hear it’s all working fine Anh! Honestly, I actually need to be more active with beta testing. I know I’ve been unusually busy on other fronts, like support queue, but working my schedule around, I can take some time. I’ve got a couple play places to test. I’d like to see more communication on the Beta newsletter to remind people once or twice a month that we need help. And maybe on the dev blog or on individual plugins, somehow test out a type of optin that will help bring in more beta testers. I dunno… just rolling ideas around. I love Yoast, but found with the latest 2 updates that the editing functionality for archived or even newer posts was practically gone from WordPress. Content analysis did not work well with the updates as it kept analyzing, but SEO status remained grey. I could write a NEW post, but editing/revising were next to impossible. I deactivated the plugin (12/32/15) and all is well again. Any ideas on why it would only affect the editing function? The one issue I was having with the upgrade is with my Divi (themed) sites the description automatically displayed as the pagebuilder code, which was concerning for us. Have you had anyone else with this issue? I’m not familiar with Divi, sorry, so what would the page builder code be? A shortcode? I’m having the same problem using Divi. Meta is a bunch of short codes and when I try to manually edit it simply turns red and wont let me change the text. 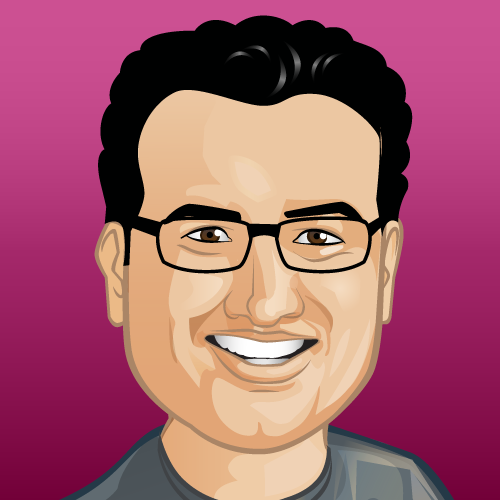 Props to you and your team Yoast. We had a similar issues last year when I was on the iThemes Security project. Bugs are never fun but your team handled them with class. Please keep up the good work. Thanks for the update post, seems everbody learned something from it. Developers and users. At least I hope everybody took something away from it. Now for something completly different. I ran 3.0.4 on a WooCommerce blog with ithemes security pro. Updated to 3.0.6. Ever since then homepage and wpadmin page just showed “error”. Had to rename all plugins via FTP and see which ones I could activate again. Seems like ithemes security doesn’t work well with version 3.0.6 and right now my site is running without it. Will have to see if BulletProofSecurity Pro has any issues as well (which I don’t think). Maybe you can check and see or confirm that there is an issue with ithemes security pro. I will see to get the error log and check if I can pinpoint the conflict. The “error” is from 404 detection in iThemes Security. Might want to turn that off and see what resources are missing there. that sounds annoying, if you could get the specific error, we’d love to know. Honestly don’t think we changed anything that iThemes security could have issues with in 3.0.6, so it could also be that the update went wrong and the zip got corrupted somehow… Not sure. great to hear. We’ll make sure to announce those on our dev blog and on our beta list.